There’s nothing like waking up to a fresh breakfast delivered in a comfy cottage on an estate full of horses. That’s exactly what I had to greet me at Stonepine Estate. 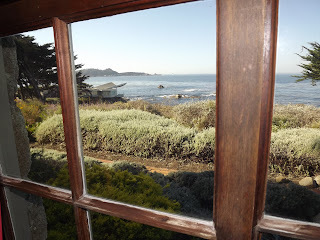 It was another hard place to leave, but I had lots to do on my journey through Monterey, California, and it was going to continue in Carmel by the Sea. Our first stop of the day was at Tor House. This property is right on the Pacific Ocean and once belonged to poet Robinson Jeffers. 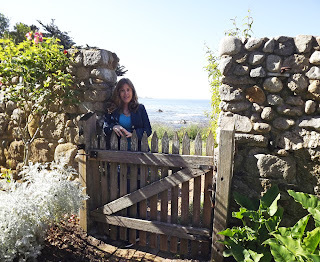 Koleen Hamlin, the public relations representative for Monterey County , and I toured the house, learning all about the rich history of both the literary time period he lived in and the Carmel by the Sea house itself. From Tor House we headed to downtown for lunch at Dametra Café. 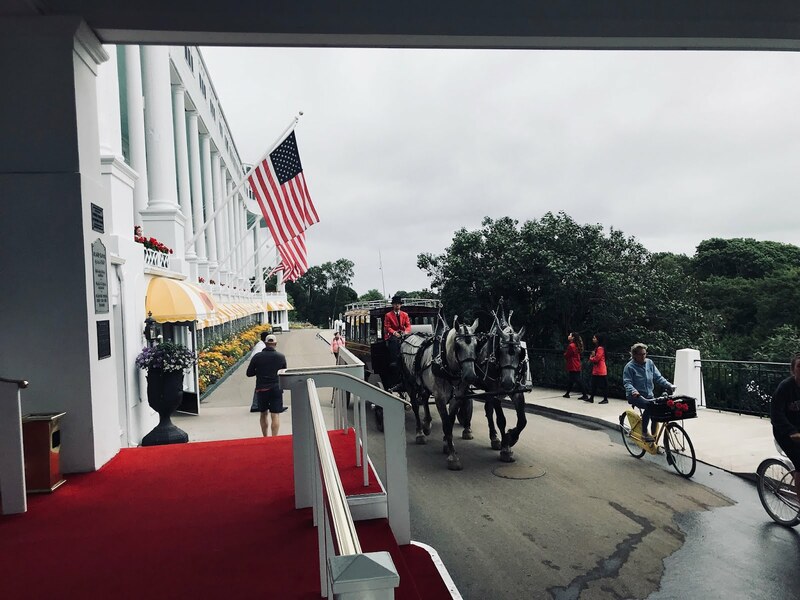 I learned about Carmel by the Sea, it’s celebrities (Clint Eastwood and Doris Day both live here), quirks (no mailboxes or addresses on buildings are allowed) and rules (no high heels or chain stores, but dogs were more than welcome). 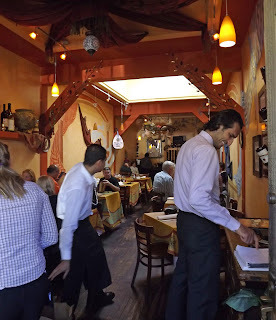 I also enjoyed a delicious Mediterranean meal that included: Baba Ghanoug, roasted eggplant with yogurt, garlic and olive oil served on warm pitas; Spanakopita, a spinach pie with feta cheese in phyllo dough; and Baklava, a sweet pastry made with honey and nuts. 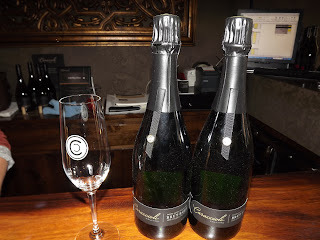 After the lunch, we went over to Caraccioli Cellars, where they have some terrific sparkling wines. My favorite was the 2006 Brut Cuvee, made with 60% chardonnay and 40% pinot noir. It was very buttery and lightly oaked. From there we did some tasting at Galante Vineyards, where the Sauvignon Blanc was smoky and not my style, but I really enjoyed the 2006 Blackjack Pasture Cabernet Sauvignon, with lots of fruit in the front and a bit of white pepper, cinnamon and allspice on the back. 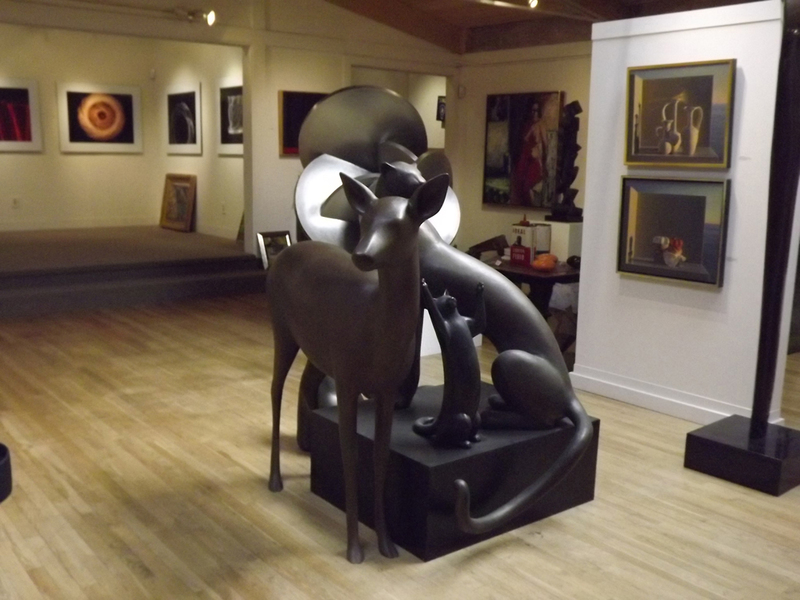 Our next stop was an unusual one as it combined a beautiful art gallery and some interesting wines. The Winfield Art Gallery belongs to Chris Winfield and it’s filled with contemporary paintings, photographs and sculptures that I would love to acquire if they would fit in my budget. The wine by Figge Cellars was a perfect accompaniment to the art, with the 2009 Pelo Pinot Noir my favorite. We checked into L’AubergeCarmel, a Relaix & Chateau accommodation, for the evening and I thought I had landed in France a few weeks early. 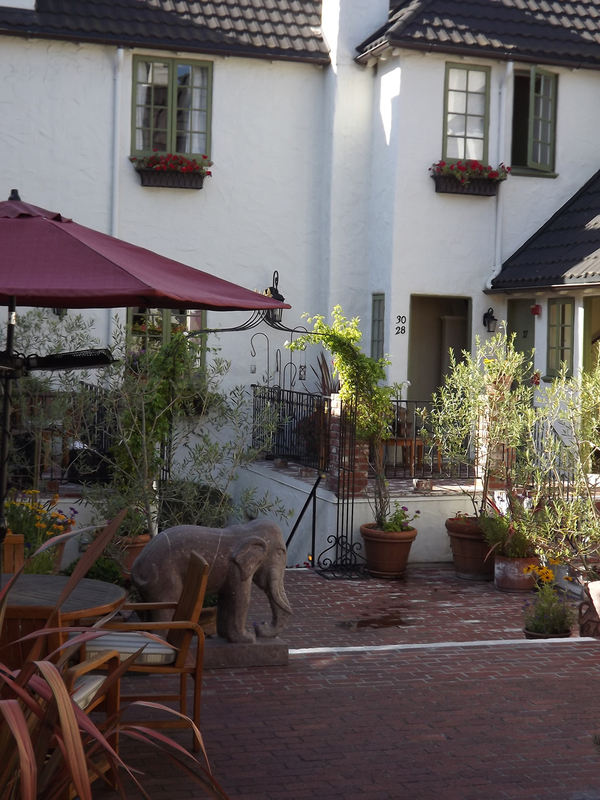 I especially loved the courtyard between the rooms, where you would find guests enjoying a glass of wine as if they were in a Paris café. 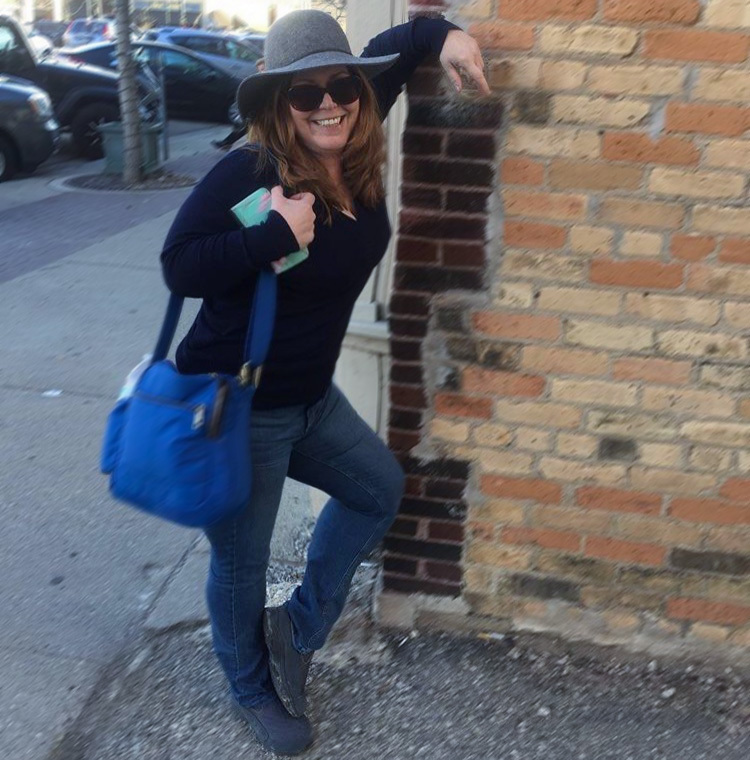 My room was more than comfortable and I enjoyed a short rest while Koleen went shopping in downtown Carmel. Dinner was at L'Auberge Carmel's restaurant, Aubergine, and Chef Justin Cogley and Executive Pastry Chef Ron Mendoza prepared quite a Tasting Dinner, which was paired by Wine Director Thomas Perez. 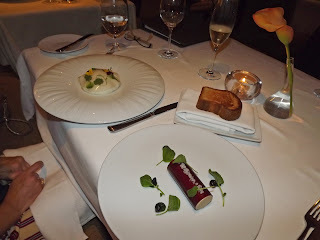 The Foie Gras with huckleberry and a puree of upland cress was a decadent as it should be and served with a 2009 Charles Hours from France. It was followed by a tender Wagyu Ribeye with porcini mushrooms and marrow served with a 2008 Les Jumelles Pinot Noir from the Central Coast. After the main course we had a typical French Cheese Platter, served with a great 2009 Leojami Grenache from Monterey, before finishing the meal with a Caramelized Brioche, with apples and celeriac ice cream. That came with a 1996 Grand Guilehm from Rivesaltes, France, which gave me a lot to look forward to when I head to that area in Roussillon in a few weeks. It was a large meal and we decided to forego what sounded like it would be a great party at Caraccioli Cellars. 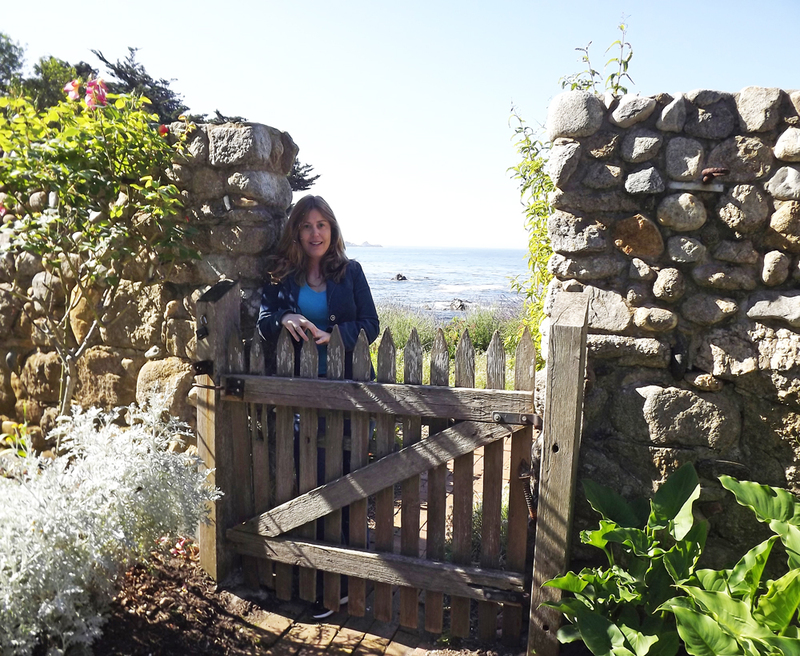 I had two more days to go in Monterey and was looking forward to my friend Tracy joining me for them.